Continuous-form computer paper is designed for high performance. 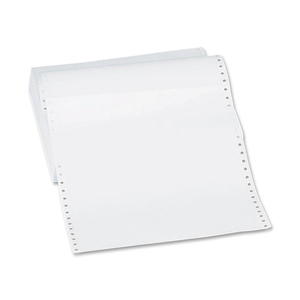 Fine, quality, white bond paper has 1/2" margin perforations and becomes 8-1/2" x 5-1/2" once perforations are removed. 20 lb. paper is also perforated between each sheet. One-part, plain white, computer paper is ideal for computerized reports, forms and letters. Paper is packed in a two-piece, telescoping, reusable carton.